Welcome to the home for our most finely crafted instruments. 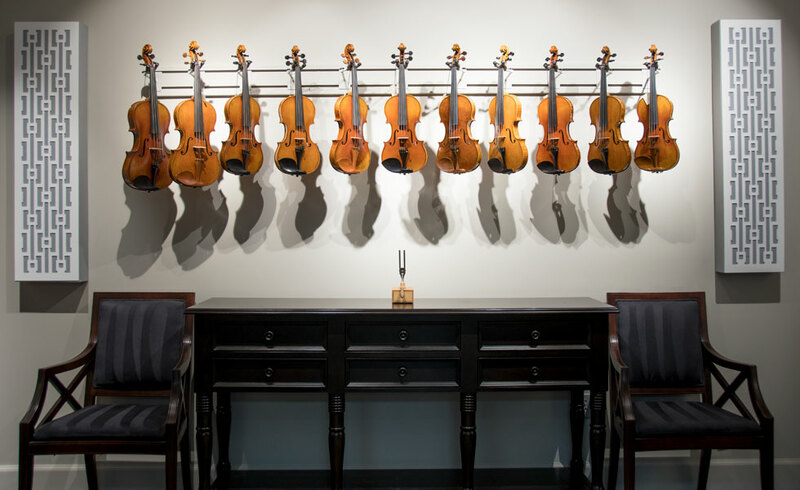 In this room you will find instruments suitable for the most advanced students, including students either in or preparing for college music programs. The Studio also serves as our instrument audition space. Very few students, regardless of level, enjoy feeling like they are on display while playing unfamiliar instruments. This space can be closed off for privacy and includes comfortable chairs for parents and teachers to evaluate the sound of each instrument. It is truly thrilling to see the reaction when a student finds the instrument that is a perfect match. Please use the links above this text to browse our inventory.